“This is a historic partnership. One that marks the advancement of Greater Cincinnati as a smart region. 7.5 million trips are made across our region every day. OKI’s goal is to make these trips as efficient and safe as possible. We optimize the region’s transportation system through strategic planning and investment. Enter Uber. Our alliance with them represents the ultimate public-private partnership. And, at the heart of this alliance are the region’s people—our residents, our workers, our communities. Uber Movement will allow OKI to build a better Travel Demand Model. You will see not only congestion and safety improved, but also, taxpayer dollars saved. This smarter data will catalyze smarter policymaking. Uber Movement is just the beginning for this game-changing partnership. Next up, public transit. People throughout our region depend on transit. The mom commuting between home and her two jobs. The retiree relying on an accessible stop. The patient needing a direct route to his doctor. These are who benefit most from this massive national collaboration. With Uber’s insight, we’ll explore innovative strategies for better serving transit riders. And, all of us will see the positive effects of smarter service. Improved infrastructure; empowered people; economically vibrant communities. For additional details on the partnership, please see the release below. Discover Cincinnati transportation insights with Uber Movement here. 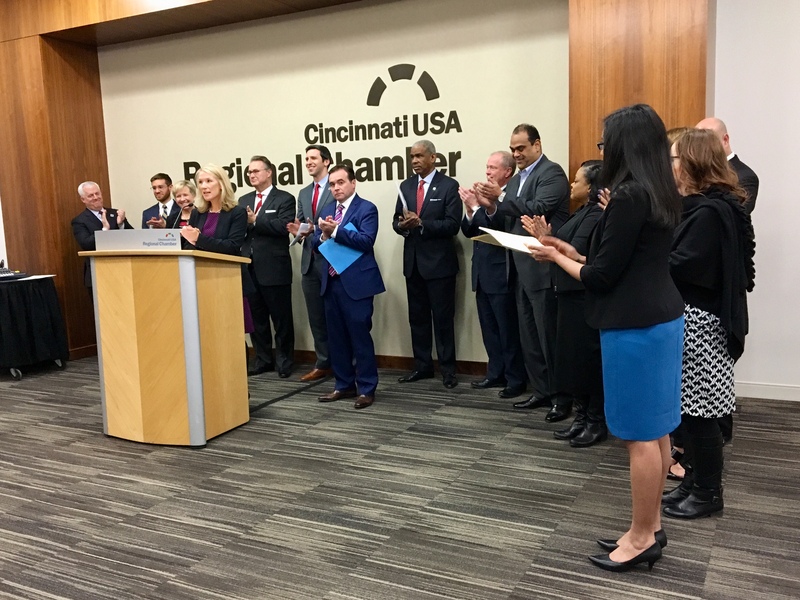 CINCINNATI—January 30, 2018– Uber, the technology platform that aims to bring transportation – for everyone, everywhere, has announced a first of its kind, multi-year partnership with a collaborative of organizations in the Cincinnati region to create the Cincinnati Mobility Lab. The Lab will share data, conduct studies, engage employers and activate designers to help create an innovative and strategic transportation plan for the Cincinnati region. 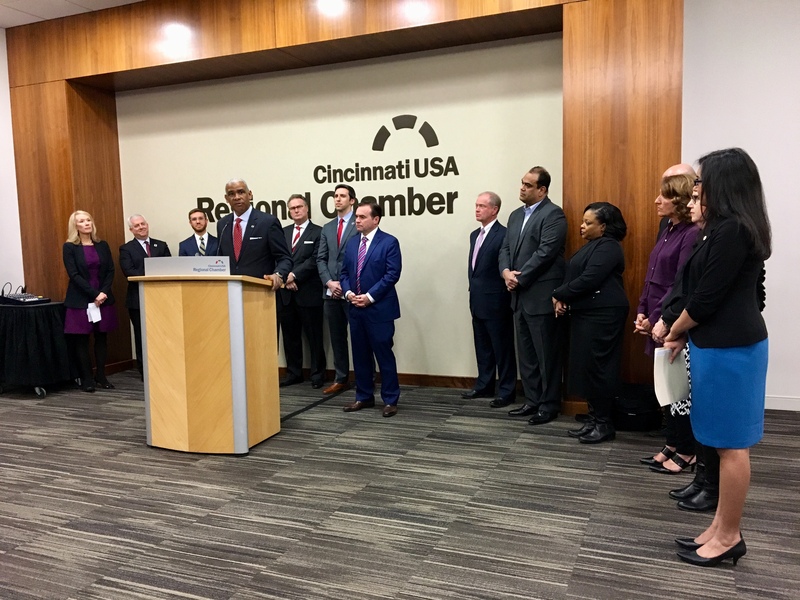 The collaborative includes the Cincinnati USA Regional Chamber, the City of Cincinnati, and Ohio-Kentucky-Indiana Regional Council of Governments (OKI), in partnership with Southwest Ohio Regional Transit Authority (SORTA) and Transit Authority of Northern Kentucky (TANK). – Expand Uber’s presence in the Cincinnati region with a new, expanded greenlight hub support center and a dedicated Uber relationship manager for the Cincinnati Mobility Lab. “We are excited to forge a new relationship with cities, starting with the Cincinnati Mobility Lab. Acting in partnership with others, we believe shared mobility can build a better transportation system for all,” said Andrew Salzberg, head of Transportation Policy and Research for Uber. – Commission the world-renowned firm, Fehr & Peers, to work with Cincinnati on key sites along key downtown corridors to help ensure that public transportation service has the space it needs. 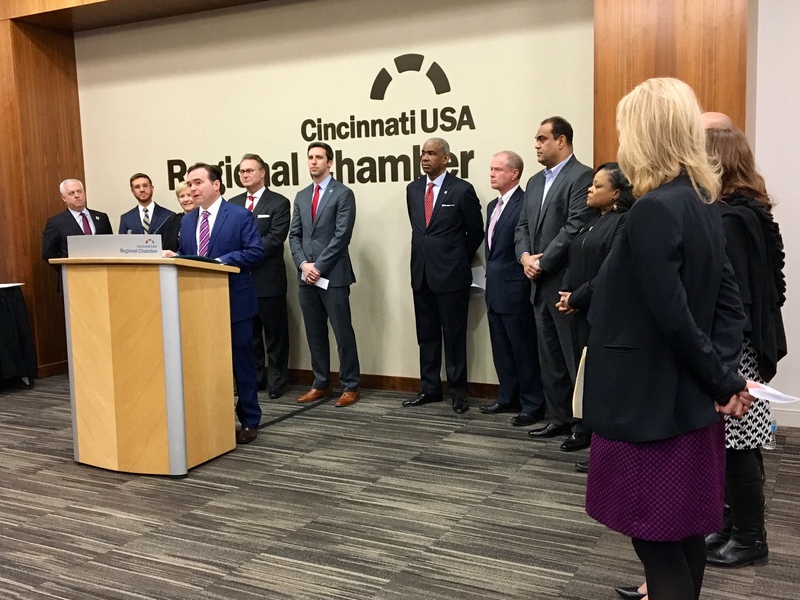 – Create an employer forum with the Cincinnati Chamber to help shape the future of regional commuting. This project will address how technology like Uber can work with the private sector to solve commuting challenges, create an attractive environment for employees, and help the region’s businesses compete for talent, connect people to jobs, and experience growth. – Bring Uber’s data sharing platform, Movement, to Cincinnati, beginning today. The full power of Movement’s data will be available to analyze and implement in the Cincinnati region. – Launch a first-of-its-kind transit study with SORTA and TANK to assist these agencies in developing strategies for the future. “We’re excited for this new partnership with Uber that will provide us with unprecedented access to data and insights that will further enable our efforts to plan for the future needs of our riders as we continue working to reinvent Metro,” said Dwight A. Ferrell, CEO & general manager of the Southwest Ohio Regional Transit Authority. “We’re delighted to be part of this first of its kind opportunity for transit and Uber to work together to better understand transportation access in the region and create a strategic plan for the future,” added Andrew Aiello, TANK general manager. – Bring Stephen Goldsmith, director of the Innovations in American Government Awards program and Professor at Harvard Kennedy School, to Cincinnati for the inaugural Cincinnati Mobility Summit, a forum that will showcase Cincinnati’s transportation innovations and work to find solutions that blur traditional boundaries between transport modes. 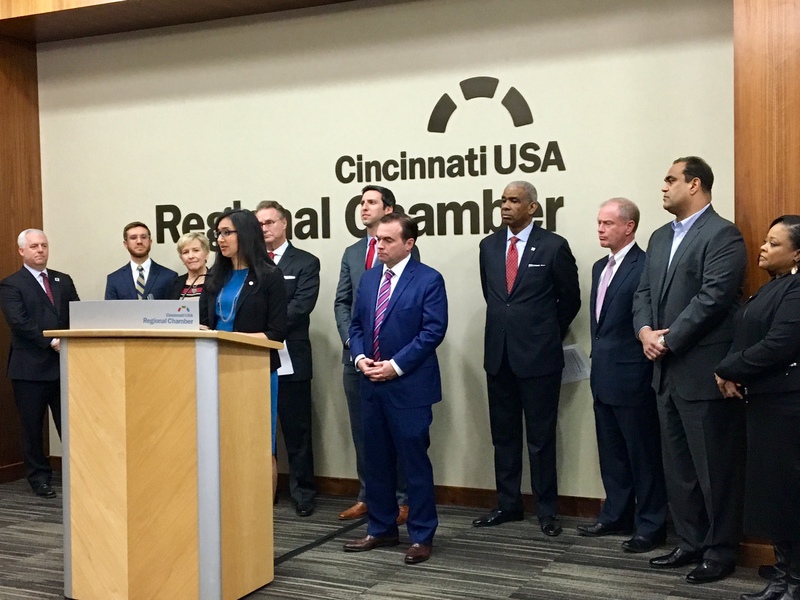 “I’m excited to convene the brightest minds in urban governance to learn from Cincinnati’s example on collaborating for a shared mobility future,” said Mr. Goldsmith. – Introduce Uber’s national partnership with Meals on Wheels to the Cincinnati region by helping to recruit the next generation of volunteers. “We are excited for this opportunity to have our Cincinnati-area Meals on Wheels member programs partner with Uber and explore ways to creatively leverage the rideshare app’s network of drivers to improve seniors’ lives throughout the region,” said Kristine Templin, chief development officer for Meals on Wheels America. The Cincinnati USA Regional Chamber grows the vibrancy and economic prosperity of the Cincinnati region. It does this by serving as a bold voice for the interests of its 4,000-member businesses and their more than 300,000 employees. The Chamber is committed to expanding the region’s talent base by attracting new residents and finding new ways to connect employers to skilled workers. And, by harnessing the power of Cincinnati USA’s unique offerings, implementing regional vision, and through intentional inclusion in everything we do, the Chamber is on a path to help transform this region into the hottest city in America. 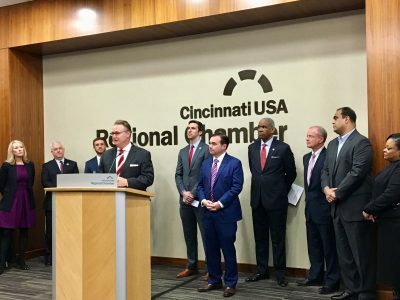 For more information, visit www.cincinnatichamber.com.